My mother-in-law gifted our daughter with a complete outfit – hat, sailor sweater, pants, and scarf from the famed Normandy-based clothier, Saint James. 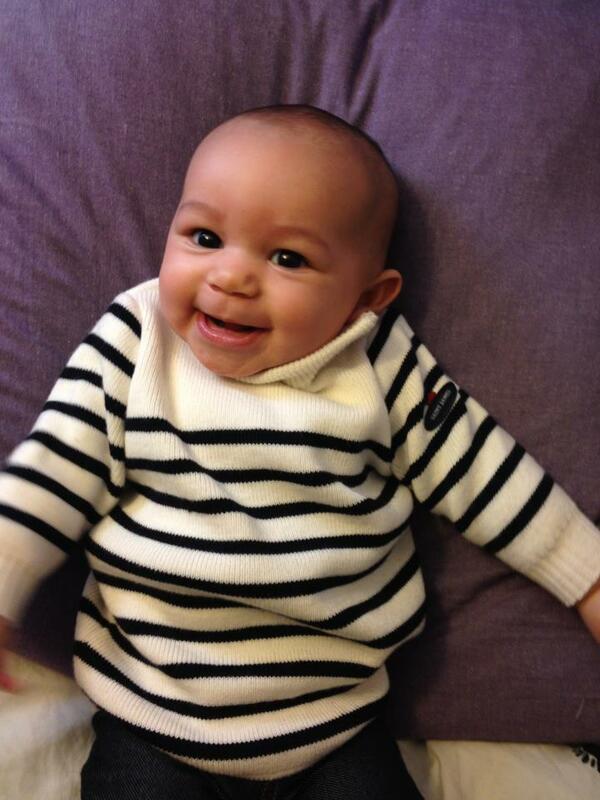 The French love dressing their children up in nautical-wear and nothing is more French than the classic Saint James stripes! Established in 1850, Saint James started off as a wool making factory before moving into the manufacturing of hearty knitwear, including their famous “Real Breton Fisherman’s Sweater”. Here’s my little girl in her Saint James cap. Ooh lala! Saint James boutiques can be found where ever the chic gather to be chic. Check their site for your local retailer. Pingback: Les Marins Sont Partout | Mme. I’m freee! Oh,… on Halloween in New York! Les Marins Sont Part… on Bonjour Sailor! Now & Forever AB… on Mlle Gets Her Wings!